US prosecutors have accused several officials from football’s governing body Fifa of racketeering, fraud and money laundering involving tens of millions of dollars over 24 years. 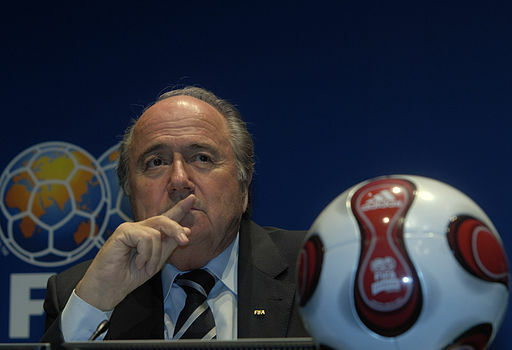 Prosecutors said they had discovered a dozen schemes, including one awarding the 2010 World Cup to South Africa. Fourteen people have been indicted, with seven held in Zurich on Wednesday. Those indicted in the US case are accused of accepting bribes and kickbacks estimated at more than $150m (£97m) over a 24-year period beginning in 1991. [BBC] President Sepp Blatter has not been implicated by the US Presecutors. In December 2014 a complaint by US lawyer Michael Garcia who spent two years investigating World Cup corruption claims for Fifa was dismissed by football’s governing body.